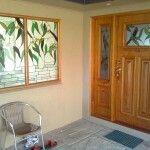 Nu-Age Glass supplies Gainsborough door furniture with our Pre-Hung Doors. Australian company, Gainsborough has achieved a pre-eminent position in the world market for more than 30 years, supplying first class porcelain and decorative door furniture and developing a succession of innovative products that have attained new levels of excellence in design, manufacturing, functionality, ease of installation and durability. The Gainsborough range has expanded over the years to include a comprehensive selection of entry handles, keylocks, passage sets and complementary accessories to meet the requirements of the renovator and building markets. The Gainsborough range also now includes an impressive range of architectural products, including mortice locks, lever and knob on round rosette or long plate, knob and lever locksets, door closers, exit devices and general hardware, designed to meet the needs of today’s commercial buildings and upper residential developments. Gainsborough are committed to producing the finest quality product possible, having renewed its certification under the ISO 9001:2000 Quality Management System. Gainsborough is also included in the internationally acclaimed Lloyds Register of Quality Assured Companies. The commitment to research and development ensures higher quality, better techniques and a constant stream of new products. Emphasis is placed not only on function of product, but also ease of installation and the durability of eleytrophoretic plated finishes which carry a conditional guarantee against deterioration. Gainsborough are also a member of the prestigious GWA Group of Companies, which includes Caroma Dorf, Dux, Rover and Sebel. Significant investment in design, engineering and manufacturing operations has fostered the continual release of new products to the market, with a large number of products made by Gainsborough in Australia. Gainsborough’s effort in new product development were rewarded with an “Australian Design Mark” for the Trilock 3 in 1 Security Lock. Gainsborough products within Australia are available for purchase for consumers and trade customers at most hardware merchants and stockists-check your local area. Welcome to Nu Age Glass!